I’ve spent a considerable portion of my adult life writing two books—repeatedly; so it’s rather difficult to say which is first, which second. But the first one I finished, more or less, was Between Trains. The second (at least that’s how they’re filed in my cranial bibliography) is Dreamers of the Day, a trilogy that didn’t start as one—and now is apparently not remaining as one, since I’ve completed a fourth volume and am currently at work on a fifth. The third book—unquestionably so, because I didn’t begin it until finishing the other two—is Houses of the Dead. I’ve provided a brief teaser for each below, with a link to excerpted beginnings. I hope you enjoy them. When Billy—an earnest young man robbed of his future—finds himself lost in the apocalypse, bereft of possessions, prospects, and hope, there’s really only one thing left for him to do: fall in love with a woman he can never hope to have and pursue her across the ravaged wasteland of tomorrow. Domestic terrorism—fueled by climate change, virulent geopolitics, and economic collapse—has engendered an autonomous Homeland Security spinoff called the Public Safety Division. Its agents appropriate resources and address perceived threats with the impunity of a third-world junta.This post-contemporary tale of love and vengeance follows Billy in his descent from the illusory security of a crumbling middle-class existence into tomorrow’s cascading necrosis. 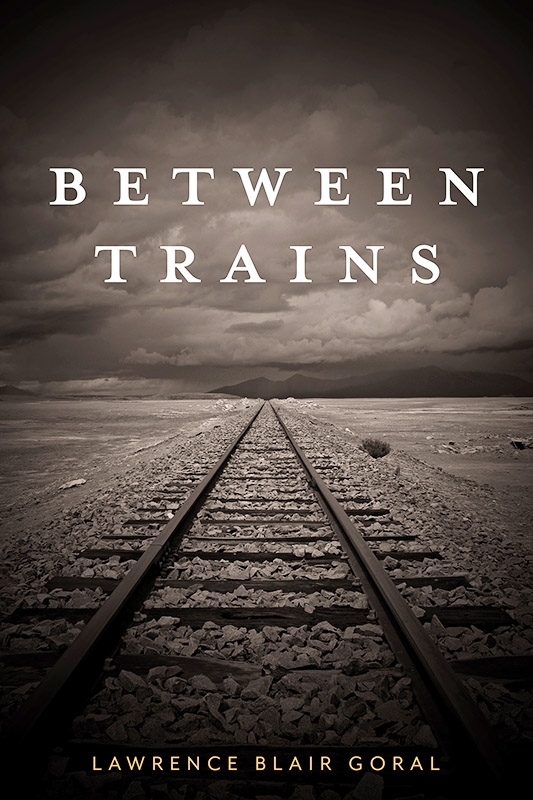 In a boxcar one bitter night he encounters the alluring and enigmatic Jill, a fellow refugee who feeds him and seduces him and with whom he falls irreparably in love. We accompany both of them before and after that chance meeting. Jill’s story—a checkered past caroming between the extremes of ecoterrorism and covert service with Public Safety Division—unfolds through a series of journal entries, each delving deeper into a muddy, bloody past. While Billy, mentored by a seasoned tramp, knows he will do whatever he must to find her again. Thus we follow their respective journeys, traveling by freight train and foot, across a desiccated landscape degrading from what might have been to what brutally is. Billy’s metamorphosis from naivete to knowledge carries him in Jill’s wake until their journeys converge first with one another’s, then with that of their mutual quarry—Joe the Reaper, the architect of ruin who has poisoned Jill’s past and stolen Billy’s future—at the end of the torturous road they were all compelled to follow. Dreamers of the Day is a science fiction trilogy in the final stages of editing. It's been many years in gestation and reincarnation. At one point I thought it was done with it, but since that time it’s decided to spread, like some invasive species, into books 4 and 5 and, presumably, 6. When Porfiry Esteban Suayd stands at the gateway to the stars, prepared to leap into the tumultuous labyrinth of interstellar trade and politics as an itinerant ship’s hand, he asks the cosmos to offer him a proving ground where he might become whatever his destiny ordains. To his sorrow, the cosmos is about to answer. From his first berth on what turns out to be an interstellar pirate vessel, to a tourist world where interplanetary politics stir widespread unrest, to a penal colony where his dreams are brutally eviscerated, he finds himself at a critical nexus of revolutionary upheaval. As chance and choice lead him inexorably into insurrection against colonial oppression, he has not only to survive but to transcend: because the fate of more than one species is at stake, and the parochial jungle war in which he finds himself ensnared, dissected by conflicting loyalties, carries profound implications for all of humanity’s future. Not heart, not hub, but eddy. Trace tight circles in bottommud and call them life. Might rive bone from soul. Of Then’s and Maybe’s groin. There is an obverse to the California dream, where pillars of the community tear at the carcasses of the dead; where they sacrifice their young on the altar of their self-deception. These hinterlands are ubiquitous, but while in the cities they crouch in shadow, across the valleys and up the mountains they assert their purer nature, parading their disfigurements in the California sun. When aspiring writer Ryan Melton lands in the Sierra Nevada foothills in the mid-1980s, he’s seeking nothing more momentous than a brief recuperative visit with his old friends Jack and Karen before beginning a long-planned novel. But almost upon arrival he finds himself ensnared in the tangled machinations of an incestuous town and a fractious clan, as Karen’s family and their associates shred each other over the estate of a recently deceased relative, while her siblings launch a war for control of the small community’s underworld. It’s an old battle into which Ryan—outsider, narrator, and finally participant—finds himself inexorably drawn. While Karen’s brother R.C. is arguably an outlaw, her sister Danielle is certainly a sociopath. Their contest over ownership of the dead cousin’s property is the crucible in which the family’s myriad impurities are rendered to their constituent elements. Ryan struggles between his long-suppressed passion for Karen and the drug- and power-laced currents that entangle him in crime and drive others to murder, while the community lurches toward an ultimate confrontation between competing strains of darkness. Want to see how it all begins?